RPG fans, get your wallets ready. Atlus has announced that they’ll be bringing Shim Megami Tensei: Final to North America, but it’ll have a different name. The side-story to 2013’s SMT IV, Shin Megami Tensei IV: Apocalypse will release exclusively on Nintendo 3DS this summer. The role-playing game came out earlier this year, February 10th, in Japan. While the story will overlap with events that happen in Shin Megami Tensei IV, Apocalypse largely tells a separate tale. That means it’s not necessary to have played the 2013 release in order to check out Atlus’ latest title, although you probably should since it’s one of the best received 3DS games of all-time. Apocalypse will put the players in the shoes of a Hunter cadet who gets killed by demons. Since that would make for a pretty short (and crappy) game, the protagonist gets resurrected by a god named Dagda. Players will now serve the perplexing being in order to uncover what his true intentions are. 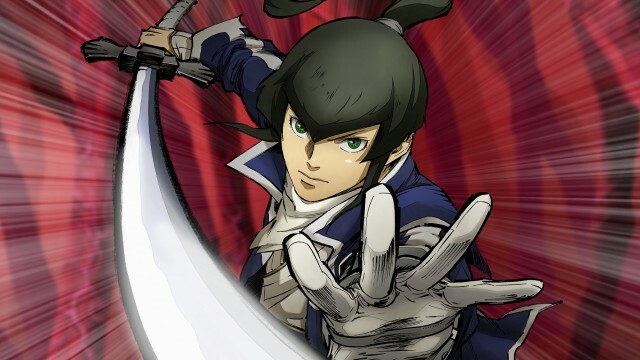 Much like the previous Shin Megami Tensei IV game, Apocalypse will retail for a premium price for a Nintendo 3DS game. It’ll be available both physically and digitally for $49.99/CA$64.99. There’s a ton of different demons to hunt (and recruit) to justify that price, though, as there will be 450 demons that you can use in combat. The player will also be able to team up with 7 different partners during their quest. While it was disappointing that Shin Megami Tensei IV: Apocalypse didn’t see a worldwide release, it’s good to hear that fans won’t have to wait for long. Summer is just around the corner, and those who crave even more information can check out the brand new trailer below.